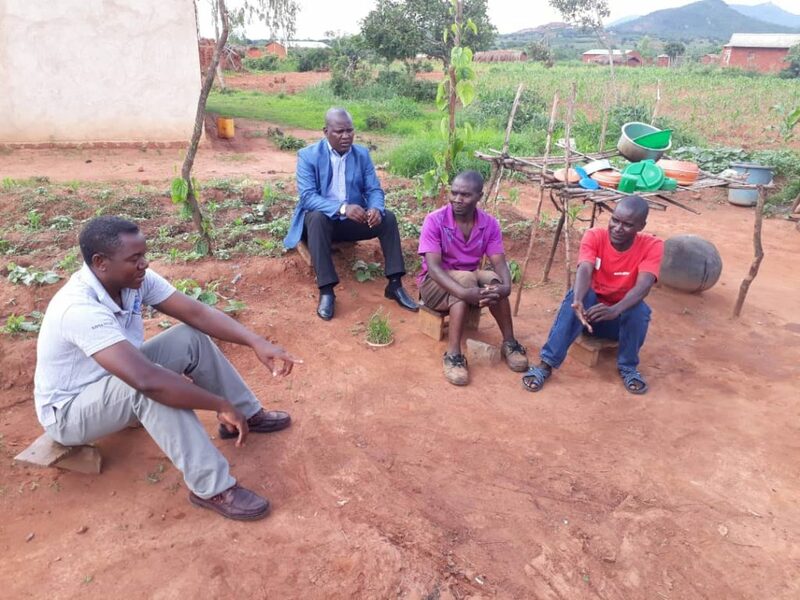 Patrick Msukwa is a 45 year old man from Kapoka 1 Village in the area of Traditional Authority Mwenemisuku. He is married and has 6 children. 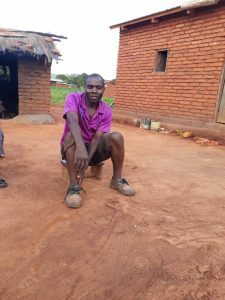 He earns his living by doing smallholder agriculture; growing maize and other arable crops. For a long while, Patrick has been having unceasing coughing. He has been buying and taking pain killers and cough medicine sold in various open shops at Kapoka. But the situation only deteriorated; he continuously coughed. He then started experiencing shortness of breath especially at night and he noted that he was sweating more than he normally did. It is the seeming loss of weight; which came due to loss of appetite that pushed Patrick to realise that he was in deep health difficulty. Patrick was however becoming desperate as to what he was to do considering that health care providers were very far from his village. 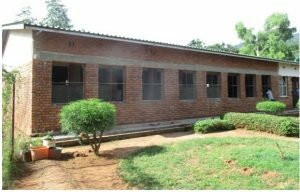 The nearest and most reliable health facility was Chitipa District Hospital; about 15 kilometres away. Considering that it was December 2018; a farming period that demanded a lot in terms of finances, he run into the temptation of being discouraged and put his life to chance. “Traveling to Chitipa is costly,” So he thought. On one providential day, while walking to the market, Patrick Msukwa met someone carrying empty bottles which are used to collect sputum samples for TB testing. He expressed his desire to send the said sample and his wish was granted. He was given two empty bottles and given instruction on how he would do it. John Munkhodya, was the volunteer in question. 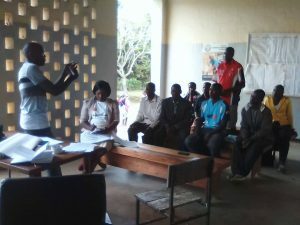 He, together with 10 others, forms a team of selfless individuals who go house by house education people about TB and where possible, they collect sputum samples for testing. Since the beginning of the project in 2016 they have literately combed the thin and thick of their community providing health education on TB and collecting sputum samples and taking them for testing at various sputum testing centres in the District. Within two days after John Munkhondya took Patrick Msukwa’s sputum samples the results came out. The result that came indicated that Patrick had TB. In the morning of Christmas Eve – 24th December, 2018, Patrick Msukwa went to Chitipa District Hospital to commence TB treatment. He was diligent to the treatment and he finished the first dosage on 6th January, 2019. He collected the second dosage. At the time the author interacted with Patrick on 9th January, 2019, he openly and happily expressed joy and thanks to the volunteers who had helped him. According to Patrick, “My energy levels have been restored. Chest pains which I used to experience profusely have subsided. Coughing has also reduced”. “…I have picked up weight greatly. From 54 kilograms before I stated treatment to 59 kilograms when I went for medical review at Chitipa District Hospital.”Msukwa further reported. Patrick, however, indicated that he is experiencing some increased itching on his skin but he further said the doctors had already warned that he would experience such side effects but should not despair as this will end after treatment. 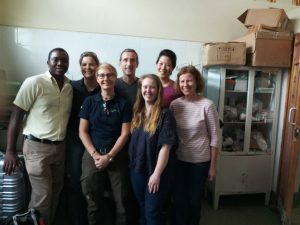 Patrick Msukwa is grateful to TB volunteers working in the area for rescuing him. He urged that to be even more vigilant to visit many villages especially those at a distance from Kapoka.